The University of Berkeley has made the namesake a point of convergence for the academe’s elites. However, Berkeley is more than just a successful college town. It’s best known for its ethnically diverse communities, culinary delights, liberal politics, and plenty of cultural attractions that make it desirable for longer stays. Families who wish to raise their kids in such a great, clean, and friendly environment can seek the help of JohnHart’s real estate agents. Many new homeowners can now benefit from the city’s community services, especially after a successful Berkeley short sale transaction. Current homeowners can likewise place their underwater property in the company’s long list of Berkeley short sales, and eventually recover from their mortgage problems. Noted to be the United States’ most progressive city, it’s easy to understand why Berkeley short sales have been more than successful. Our company, JohnHart Real Estate, works with homeowners by offering mortgage help. Real estate agents work by discussing loan modification programs for foreclosure prevention. Together with our expert short sale agents, interested homeowners can learn about their options and get assistance in preventing foreclosure sales. JohnHart Real Estate also has attorneys who are always willing to discuss loan modification options and its benefits. 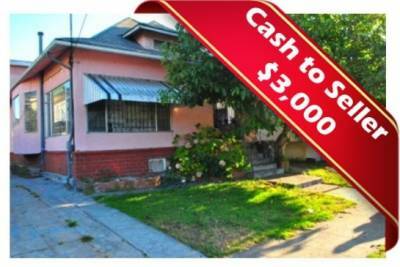 Now there’s no need to get distressed in coming up with real estate solutions with our Berkeley short sales. If you’re a homeowner and you dislike the idea of leaving the eclectic mix of cultures Berkeley has to offer, our real estate agents can assist you in relocating to another part of town as soon as possible.